Russ and Gunnar love each other. 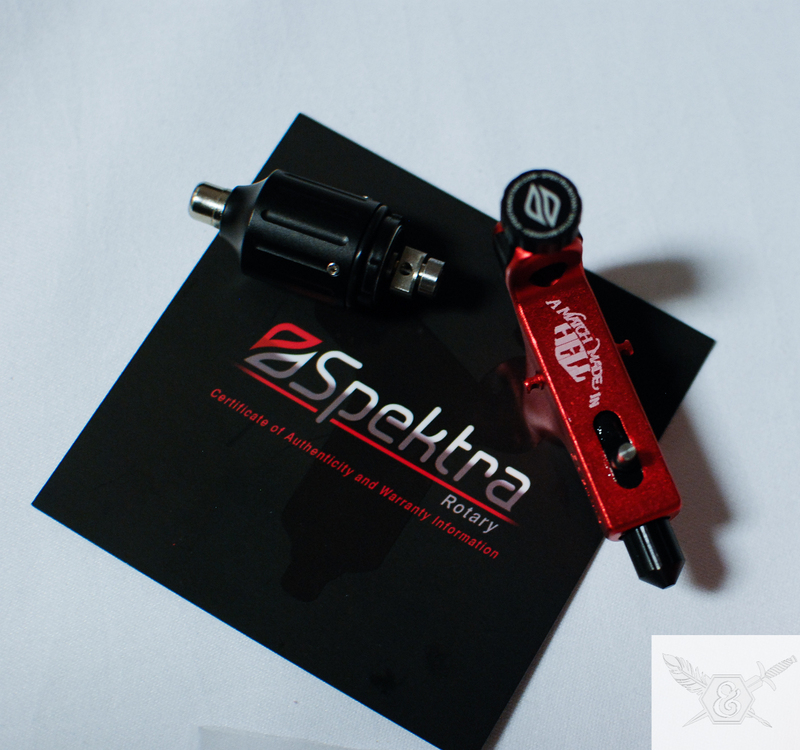 FK Iron’s Spektra Rotary made special for “A Match Made in Hell”. 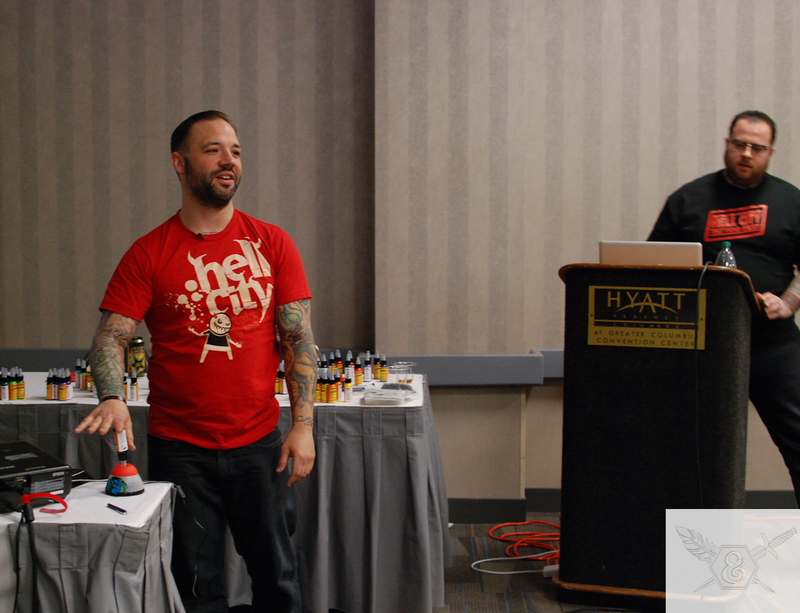 Russ Abbott and Gunnar Gaylord teamed up at Hell City Columbus to break a few paradigms and co-teach a seminar together. 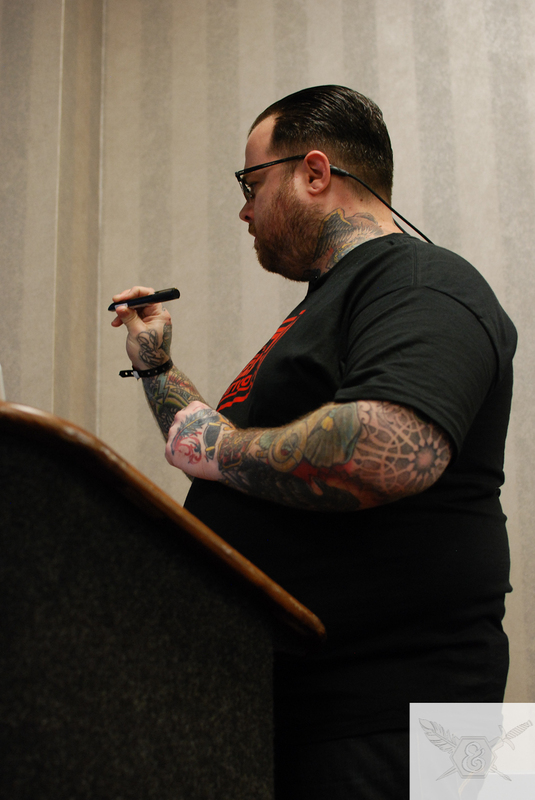 Only “A Match Made in Hell” could ignite the professional tattooists in attendance in an information bonanza that covered topics from line weight to color composition and every combination of practical application in between. 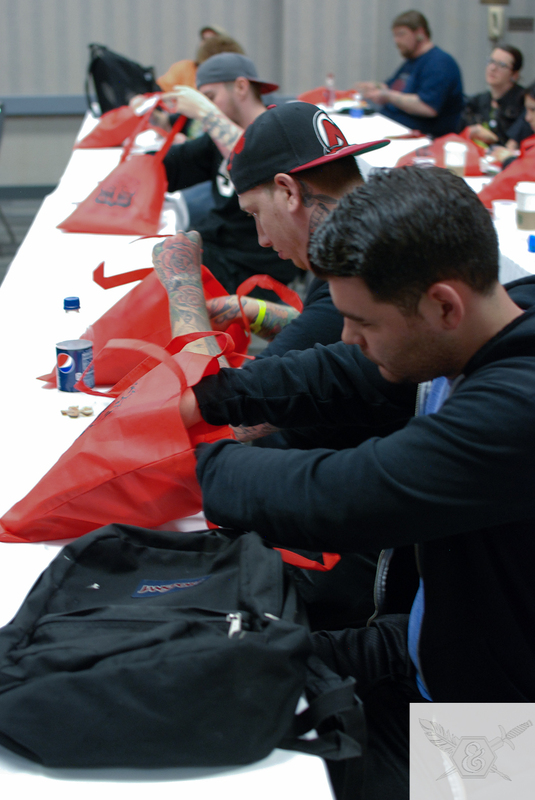 The comprehensive three hour tour featured both Gunnar and Russ’s extensive experience with concepts covered as well as a multi-media presentation, swag bags, giveaways, and a plethora of learning tools. The two led the group through wide-ranging concepts while playing off their shared experience and longtime friendship. “If this was 1990’s Gunnar he would have made this reflective light in turquoise, where now we would prefer a neutral grey that will read as cool against these colors.” Russ playfully chided. The dynamic between Gunnar’s art-based vocabulary and Russ Abbott’s practical application complimented the lessons delightfully, while engaging those in attendance and making time for their questions. Step by step with Russ Abbott. The seminar goers were also rewarded with tools including Russ Abbott’s “Left-Brained Labels” and Gunnar’s own booklet of anatomical templates as well as True Tubes,and True Tube Grips. 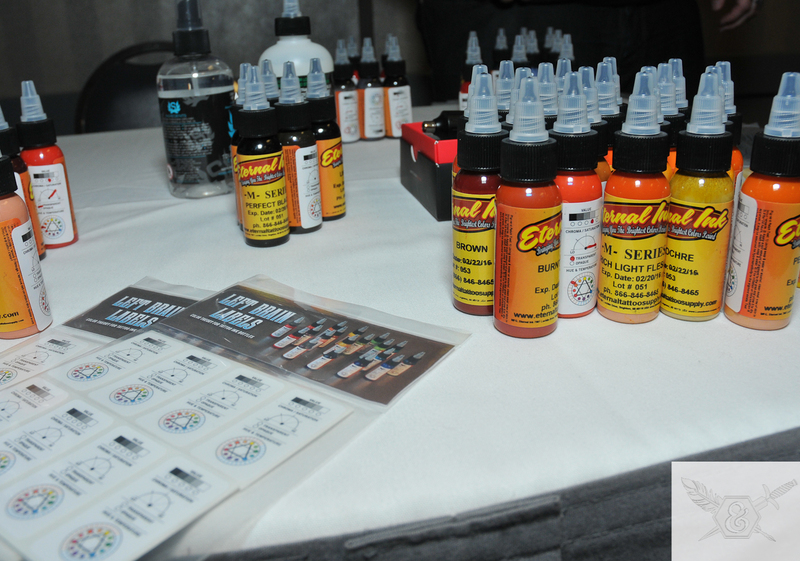 Two lucky participants left with surprise give aways from Eternal Ink and FK Irons. 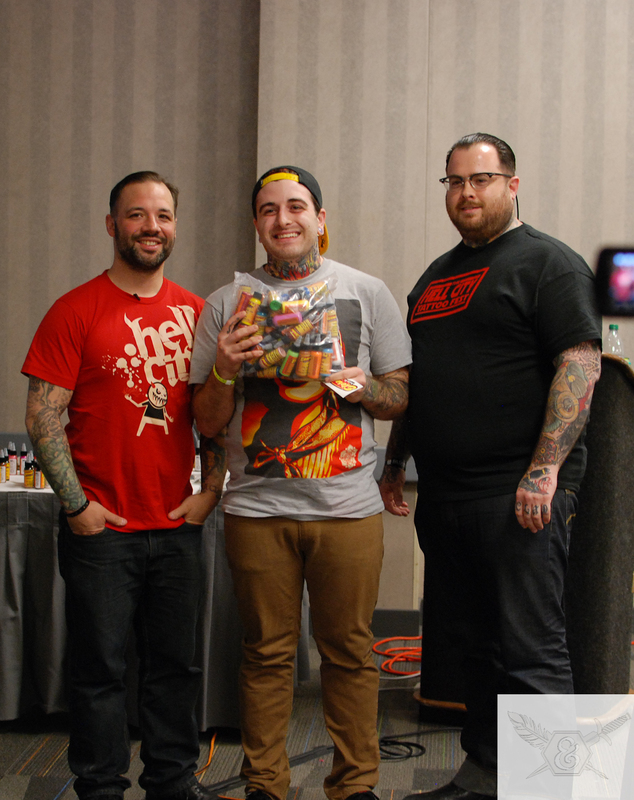 Robby Soulliere won the Eternal Ink collection. “Left-Brained Labels”–Russ Abbott’s innovative compulsion to categorize. 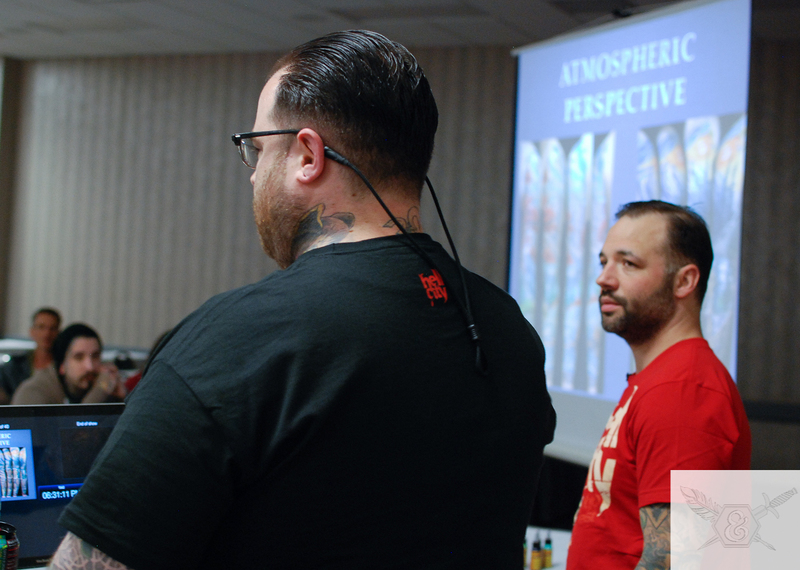 The two will be presenting the seminar one more time at the upcoming Hell City Tattoo Fest in Phoenix, if you missed it in Columbus, make sure to reserve your seat at the next one! Gunnar showing folks how to do it. Gabriel Cece wookin’ pa nub. Button, button who’s got the button? Inspirational tattoo artist Scotty Munster will be making an Atlanta appearance at Ink&Dagger Tattoo Parlour May 22nd-23rd. Scotty hails from Olde Town Tattoos in the land of 10,000 lakes, St.Cloud Minnesota. Get in where you fit in, you do not want to miss an opportunity to see this amazing artist in action. A Match Made in Helllll… City! 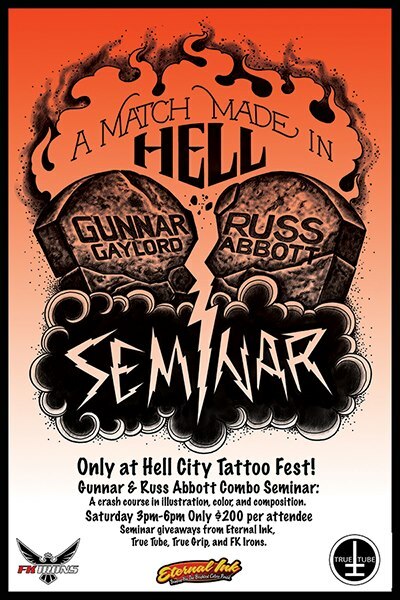 Hi there, I just wanted to drop you a line and let you know about the seminar I’m co-hosting with Gunnar at the Hell City Tattoo Fest. 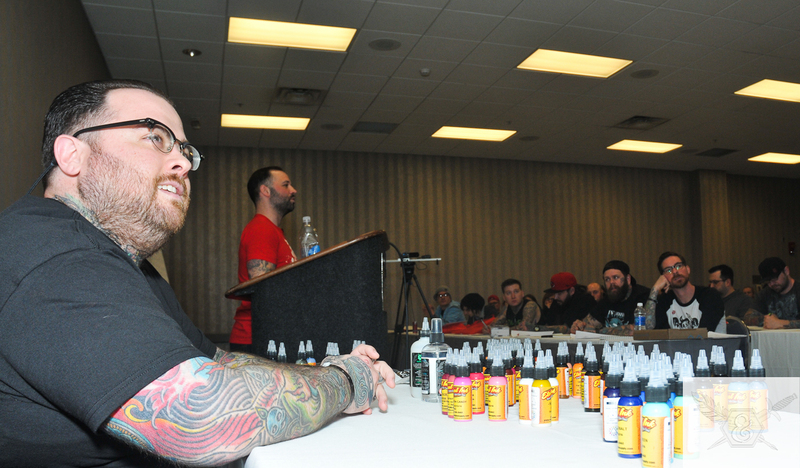 Gunnar and I decided to co host a seminar after spending some time together at last yearsParadise Tattoo Gathering. We both taught seminars there that focused on fundamental principals of composition, line, value, and color. We each have a unique tattoo style and teaching style so we thought it might make an even better seminar if we joined forces and split the workload. At first, we just thought about taking the best parts from each seminar and combining them together. But once we started brainstorming, it became clear that we were going to push each other to new heights and a deeper understanding for both of us. This new seminar has now been over 6 months in the making. We have entered in to the final push to prepare all of our concepts and create the presentation. The focus has been refined and the vision is now unified. We are calling the seminar “A Match Made in Hell” ! The first engagement is taking place at the Hell City Tattoo Fest in Columbus Ohio on April 20th. The second will be at the Phoenix Arizona Hell City Tattoo fest on August 24th. In order to make the entire experience more informative and educational. 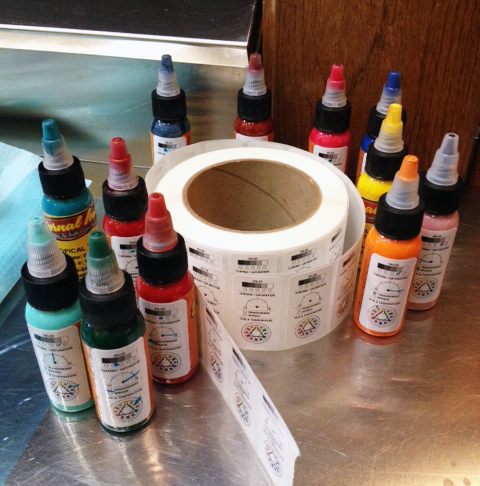 We have teamed up with three of our favorite tattoo industry brands. Both Gunnar and I use these products and stand by their quality and integrity so we thought it would be nice to share some personalized samples with our seminar attendees. Eternal Ink is making a unique set of 12 color sample packs of our favorite picks from their color line Eternal is also donating a full set to one lucky participant!. FK Irons is giving a way one of our favorite machines (the Spektra Halo rotary) and some other assorted items. 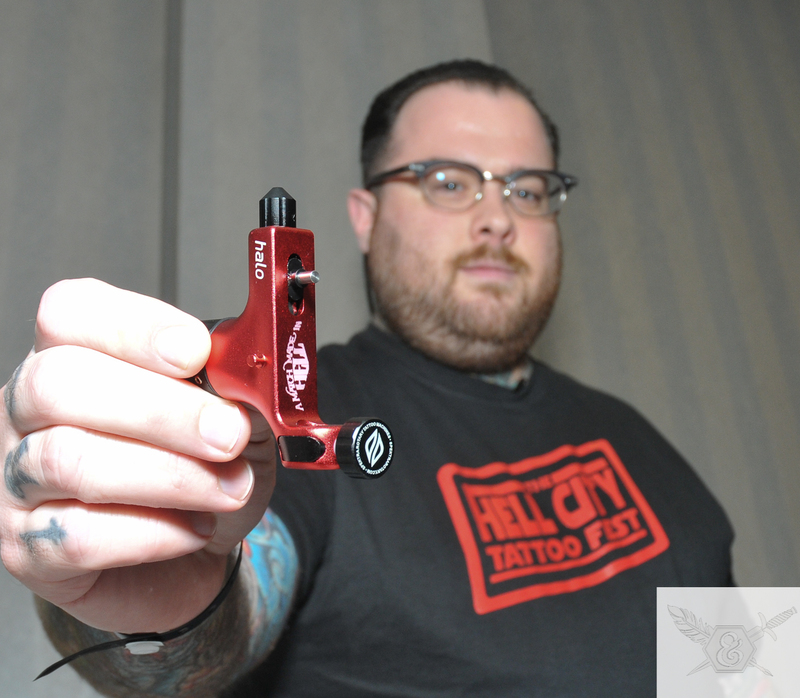 Durb Morrisson, the promoter of Hell City Tattoo Fest, is throwing in an assortment of his popular True Tubes (steel-tipped disposable tattoo tube) and True Grips ( disposable memory foam grip covers). I’m attaching the seminar description and the promo image. Please share and repost and help support this endeavor. 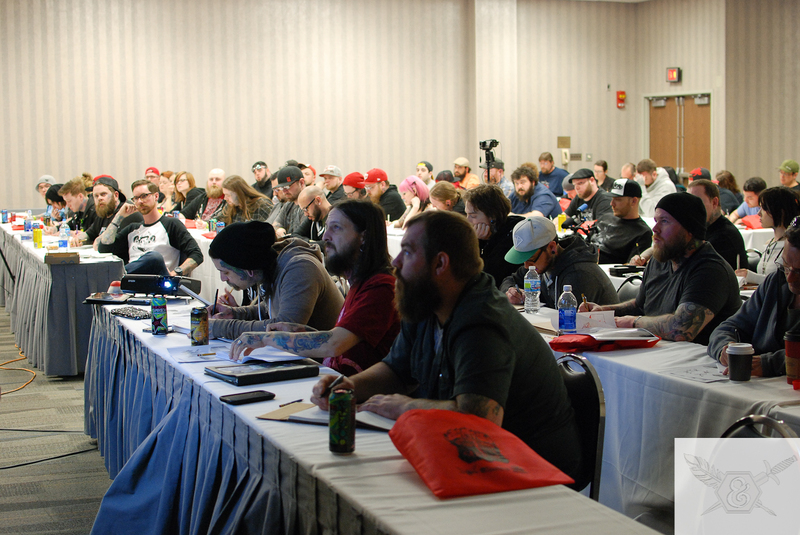 This unprecedented seminar experience will be hosted by 2 of tattooing’s top innovators. 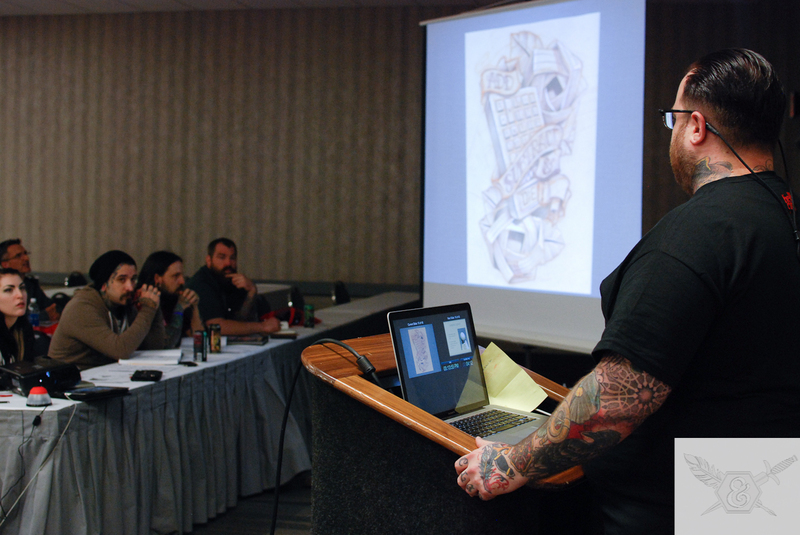 Renowned artists Gunnar Gaylord and Russ Abbott are teaming up to present a career-changing educational event for tattooists of all skill levels. Learning any artistic medium, such as tattooing, the student will inevitably be faced with plateaus and pitfalls. Many times, the way to move forward and continue growing is to take a look back at the fundamentals and see what you might have missed. With a combined tattooing experience of over 25 years and several years of teachingexperience to draw from. Russ and Gunnar have truly learned the value of continued education and personal development. It is their sincere and humble goal to share some of that experience with their peers and give back to the craft that has given them so much. Both Gunnar and Russ will continue teaching their other popular seminars at various shows throughout the year. However, this combo seminar will only be available at this year’s Killumbus and Phoenix Hell City shows. Don’t miss this rare opportunity! Tickets are $200 per attendee or you may want to take advantage of the full shop special which offers 4 tickets for the price of 3!